Among the several aircraft in the Cub family the PA-14 Family Cruiser was the first 4 seat production aircraft built by Piper Aircraft. Produced from 1947 to 1948, this particular model became a favorite of mine, not because of any inherent flight characteristic but because of a special chapter in its history involving 5 extraordinary men. 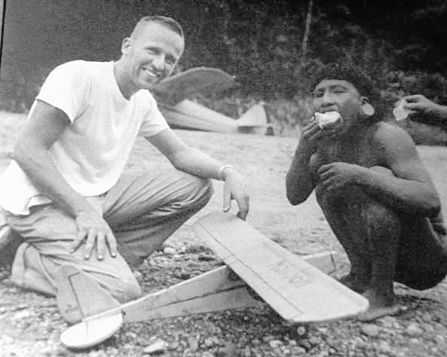 Roger Youderian, Pete Fleming, Jim Elliot, Nate Saint, and Ed McCully were missionaries part of Operation Auca who, with their families, were dedicated to take Christian love to the Huaorani people of Ecuador. After several months of exchanging gifts with the Huaorani people these 5 men were unexpectedly speared to death by tribal warriors on January 8, 1956 at a sand bar where they could land their PA-14 and had set up a camp they called Palm Beach. What's most extraordinary is though the remaining family members were encouraged to seek retaliation, they chose rather to forgive and carry out the Christian work that had begun. Jim Elliot's wife, Elisabeth, and Nate Saint's sister Rachel returned to the jungle to do this work. Through them most of the tribe including 6 of the attackers became Christians. In time, a very young Steve Saint, son of his murdered father Nate, would face his fathers killers. First, the drawing board. I have thrown foam together before but never really tried anything scale and certainly not with drawings. Here I would like to do both. Online searches for aircraft dimensions provide varying results. The wingspan here indicates a 34' 10" while I found another that said it was 36' 6" and two others 35' 9". If anyone out there knows and cares enough to correct me I am happy to make this as true as I can. Until such a time I will proceed with the 35' 9" wingspan and work the other dimensions proportionally. 35' 9" = 429" which scaled down 1/10 makes for a decently sized 42.9" wingspan (Something I can fit into te back of the car). Having never done a drawing, I am thinking of using the free Google SketchUp to draft my plans. What an admirable motivation for a build! Best of luck with it. Subscribed, great back story and choice of plane. All Ragwing pipers came in one of two varieties, long wing and short wing. 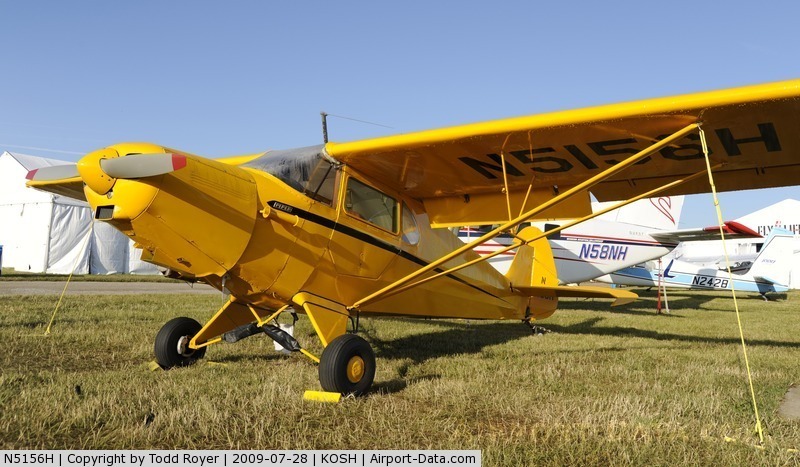 A standard long-wing cub had a wingspan a shade over 35'. (35'-3" on a j-3) Since the PA-14 has a widened fuselage to accommodate the 4 seat arrangement I would guess the 35'-9" is probably about right. 34'-10" is definitely too short. Love it Jim!! I remember reading this book a WHILE ago for school and it is definitely an inspiring story of TRUE forgiveness and LOVE! Thank you Tench for the link and vouching for the wingspan. And thank you all for the the support/encouragement. Since the Tundra and Timber planes came out I've been wanting a high wing all-around dependable flyer. Their short take-off capabilities and stability make them excellent candidates for flying in varying conditions just as the full scale versions had been used. Though to many this will look like just another Cub, to a more discerning eye I hope to incorporate physical distinctions where they exist (besides just the tail number) so it will look as authentic as I can make it. Love your attention to detail... it is what makes a "PLANE" a "PROJECT" and a MEMORY! GOOD luck and looking forward to the journey! This is going to be a nice tribute to an aviation link to such a tragic happening. I am sure you will more then make it worthy with your reason for doing it. Will be keepin an eye on you. what a story! love cubs / piper. ill be following for sure! I am encouraged by the number of christians in the flitetest community. Good luck! Though this build appears stagnant, it's because I've reconsidered my program for designing this. While I think SketchUp is a great program, I really don't think I need to draw this PA-14 in 3D. So I considered some other options. Meanwhile while wanting to do an SE5 build I came across a recommendation for Inkscape. It's a free drawing program and not too difficult. I really think it will make the design phase go much simpler and quicker. Thank you for your encouragement and patience.